Since the election of Trump, I have created nothing in response. I have been numb, outraged, depressed, and on edge. As I watch my communities horrified by the news everyday, as I join my communities in the streets, at city hall, at their press conferences, at the airports, and as I strategize with my communities on what’s next in our lengthy battles, there has been little to no time for me to sit and create. In this moment of peak crisis and urgency - because a lot of us have been in a state of crisis and urgency - we are also seeing a peak in a plethora of movement art. This is a good thing. We need more art. Always. However, just as movements must be led by those most directly impacted, it is critical that we uplift art that is also created by those most directly impacted. When art is not created having conversations with those most directly impacted, we get work with messaging like “We are all immigrants,” “This land is your land, this land is my land,”, “We belong here,” “Our nation is founded on immigrants,” and “We are all Muslims”. We are not all immigrants. This land is native land. Many of us do not belong here. Our nation is founded on violent settler-colonialism against Native people who were here first. We are not all Muslim. Many of us are living here in the U.S. in diaspora, as refugees, as individuals on stolen land, and with the painful memories of African ancestors forced here in slavery. 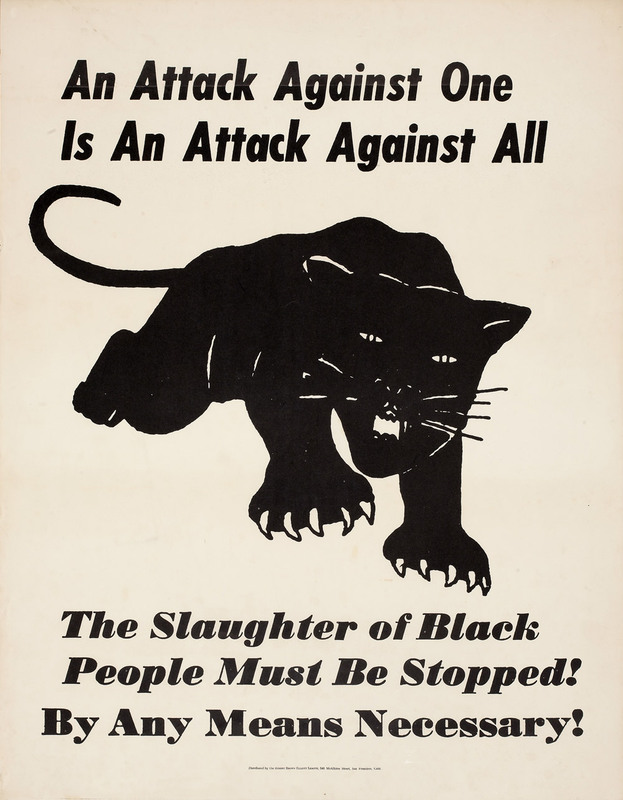 We do not create unity by erasing our histories of violence. 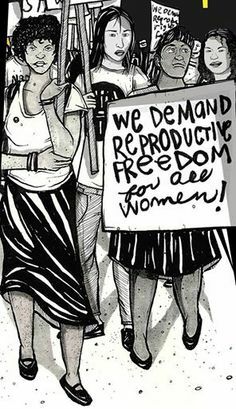 While many new people are being politicized in this moment, what vision of liberation are we pulling them into if we re-create harmful, limiting messages? Still, I know that there is movement art being created by people like us right now. 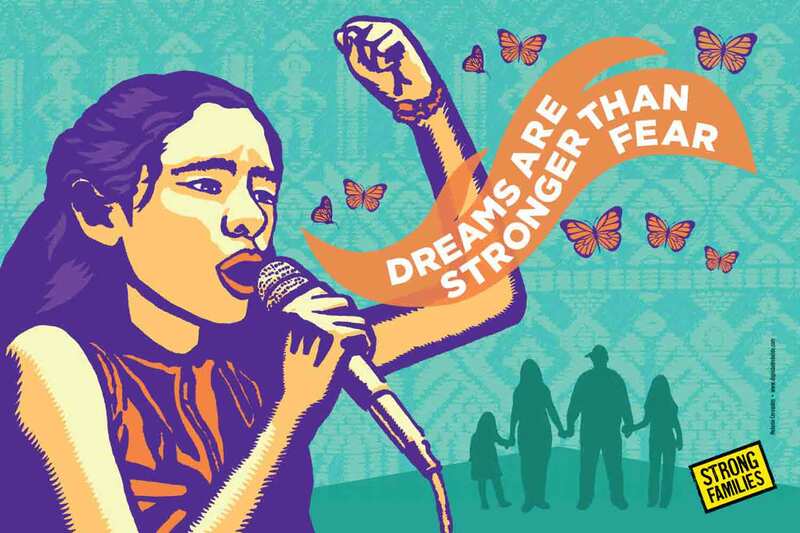 Just recently, the Design Action Collective, an artists collective that is majority people of color, women, and trans folks, released a gorgeous graphic stating “No Ban, No Wall, Sanctuary For All”. The questions I bring forward today are incredibly necessary in continuing to document our lived realities in truly effective and accountable ways. How can we get more transparency around white artists’ processes in creating work that depicts people of color and Black people? Why has movement art by Black women, transwomen, and undocumented artists not flooded my timelines? Where are the non-profits mass producing and distributing art by Muslim artists? Why do I see my people on posters in places to make me feel like I’m there, well-represented, when I’m not? I am not looking to halt or critique the crucial work that is being done by our white allies or accomplices, but to help shape and re-direct what visual art and whose visual art is being exposed, seen, and valued in this political moment. So, as an organizer who values offering possible alternatives to complicated situations, I’ve put together this list of six things many of us as artists can do in this moment to support artists of color and Black artists, and also uplift their work. ​1. Collaborate! Ask for feedback! Fellow movement artist and friend Micah Bazant, who identifies as an anti-zionist trans Jew, gets feedback and input on their visual pieces before publishing from dozens of friends, communities, and organizations. Sometimes this means the pieces take longer to publish, and it’s not the easiest undertaking for answering urgent calls for art, but the process matters. CultureStrike, Forward Together, and Micah Bazant created this document of principles, How to Re-imagine the World: Collaborative Principles for Artists & Social Justice Organizers, that is incredibly vital. And yes, I was asked to give feedback on it before it was published! 2. Share resources. Benji Hart offers this: “How do you leverage your resources as an artist? What do you offer to other artists of color so they have capacity to create? White artists appropriating the symbols and images of people of color as an attempt in solidarity...it can stop Black women, Latinx women, Muslim women, from being able to speak for themselves, to assert their own values.” With that said, can you make time to reproduce an artist of color or Black artists work for an upcoming march or rally instead of your own? Can you help us build up our own resources by linking us to grants and financial opportunities? 3. Re-direct your art requests. Is a university reaching out to you, a white artist with citizenship, to create a poster about Sanctuary for All? 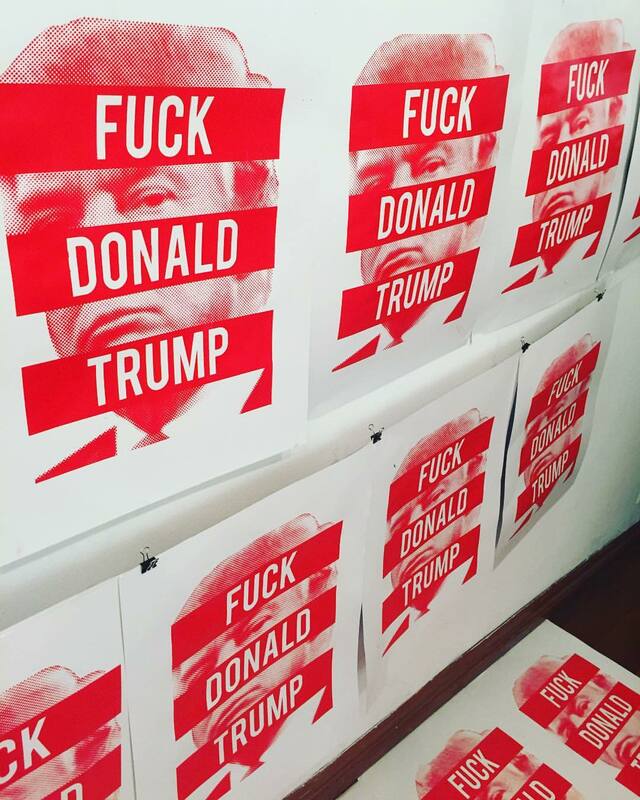 Can you think of undocumented artists or Muslim artists who might be interested in creating that poster instead? Is a non-profit reaching out to you, a non-Black person of color, to create a poster about Black Lives Matter or #noDAPL? Can you think of a Black artist or a Native artist who might be interested in taking that project on instead? Use your clout to say hold up. 4. Resurrect old, yet relevant art. Moments of crisis and urgency put us into a whirlwind of thought and anxiety. We often think that what we’ve doing hasn’t been enough. We forget about what we’ve created in the past that can still speak to the masses now. I’m thinking of some specific work by Julio Salgado, Melanie Cervantes, Rommy Torrico, Raul Vasquez Lopez, Cristy Road, Jesus Barraza, Bria Royal, Frances Mead, Crystal Clarity, Emory Douglas, Leila Abdelrazaq, Ethan X Parker, Mojuicy, and many more. 5. Uplift not just our faces, but our voices, too. Molly Crabapple, a white-passing, Puerto Rican and Jewish artist and writer, recently created a beautiful series of posters for the PEN America protests. Molly illustrated James Baldwin, Audre Lorde, Junot Diaz, and Suheir Hammad, quoting their brilliant words alongside their portraits. In moments when we’re struggling to creatively contribute to the movement in responsible ways, look towards people of color and Black people who have paved the roads towards imagining liberation for us. Uplift their words of wisdom along with your illustrations. 6. Remember that critique and feedback is not personal, it is political strategy. We are all creating movement art in good faith. We make art for the movements we are a part of or care deeply for because we want to expand our radical imaginations. We want to create visual languages to inspire and move people. We want to transcend literacy barriers. We want our people free. Again, the process matters just as much as the result. Representation matters, but only if we’re actually seen. 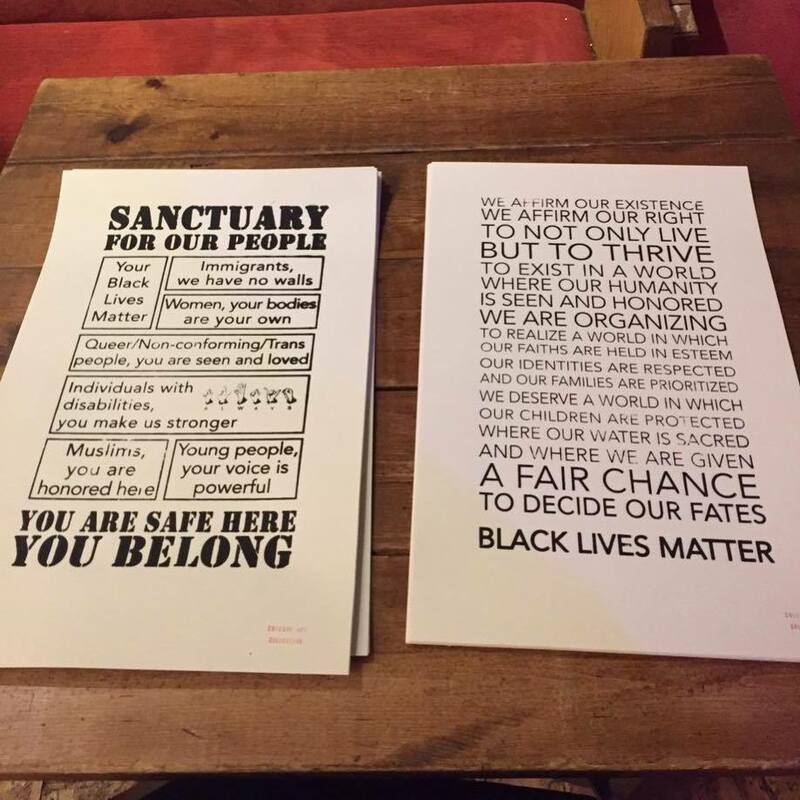 "Sanctuary For Our People" screen printed posters by the Chicago ACT Collective, 2016. Monica Trinidad is a queer, Latinx artist & organizer, born and raised on the south side of Chicago. She is the co-founder of Brown and Proud Press, For the People Artists Collective, and the People's Response Team.